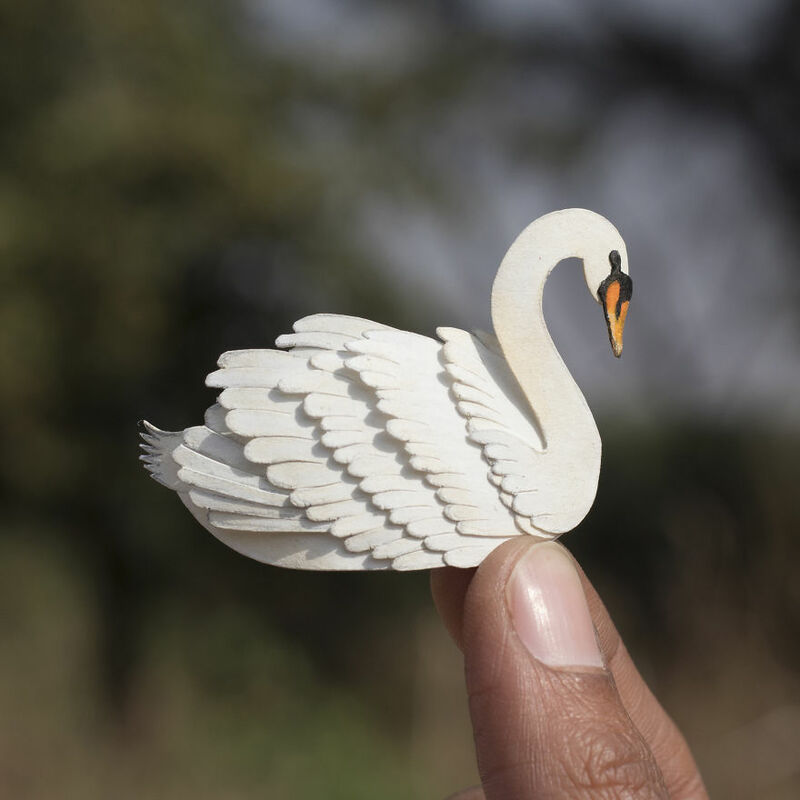 Hi, I am Vaishali, myself & my partner Nayan, we are paper cut artists based in India. 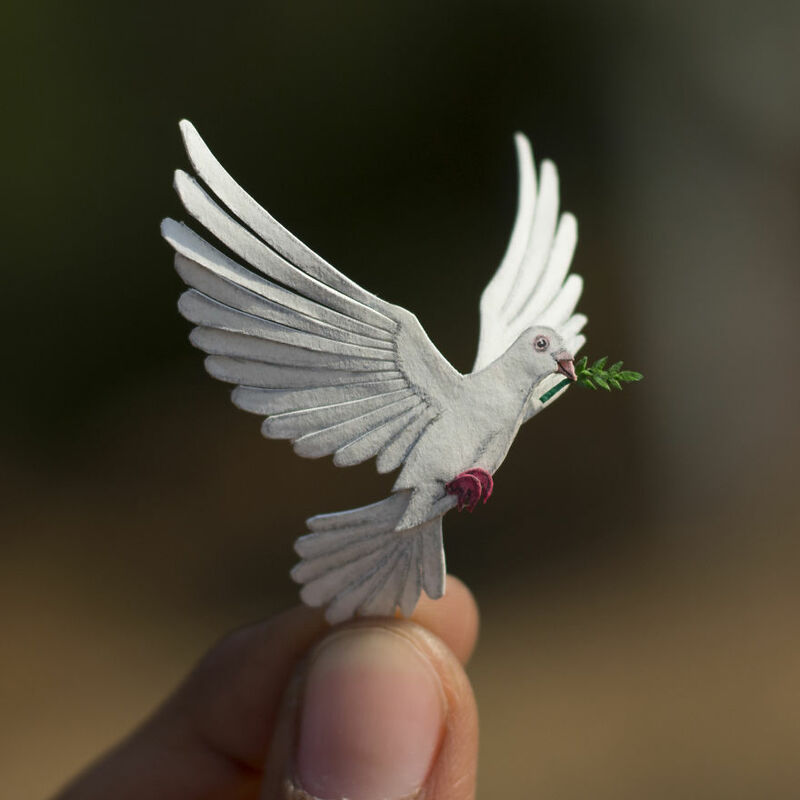 We have been making paper cut artworks since one year now. 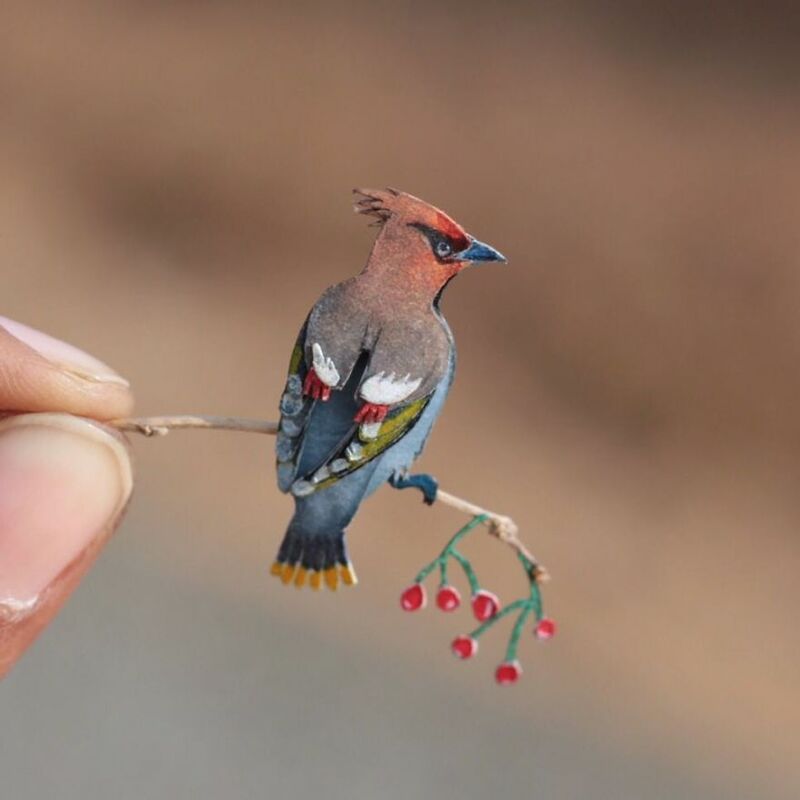 We took up the 365 days challenge of creating Miniature birds using paper and watercolors for this entire year of 2018. 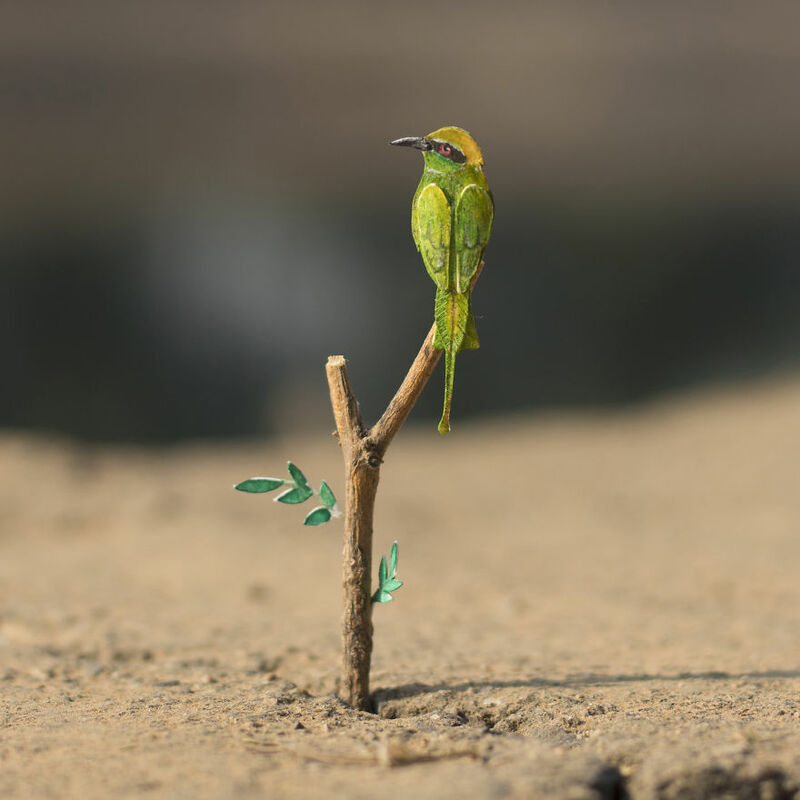 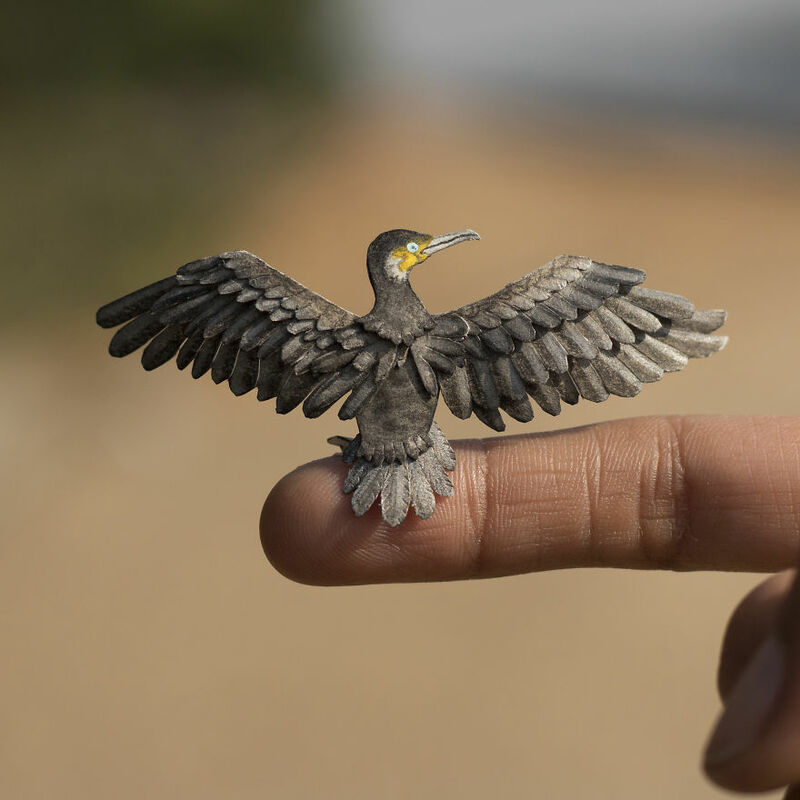 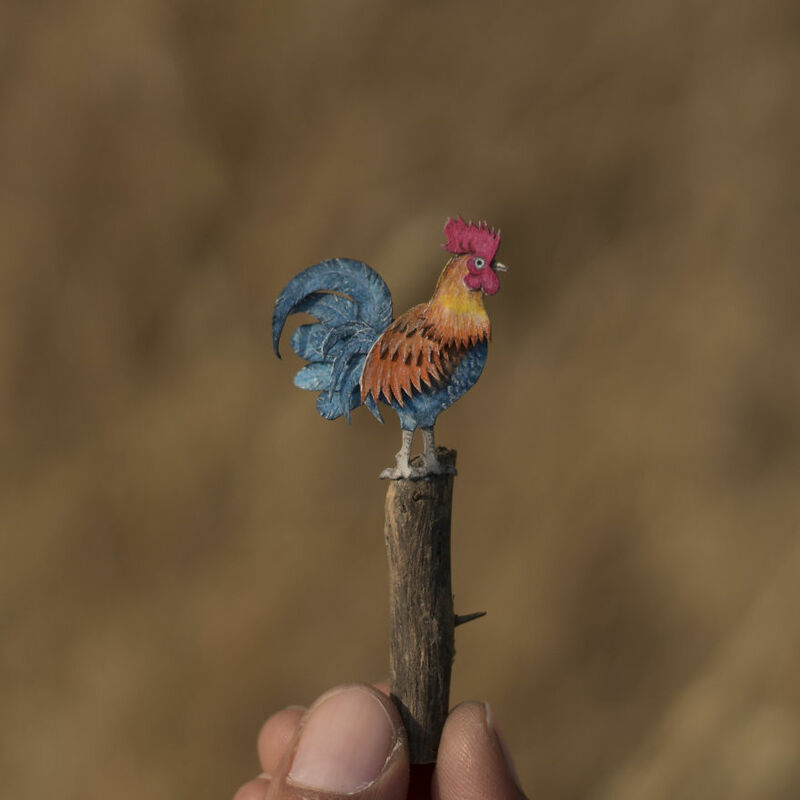 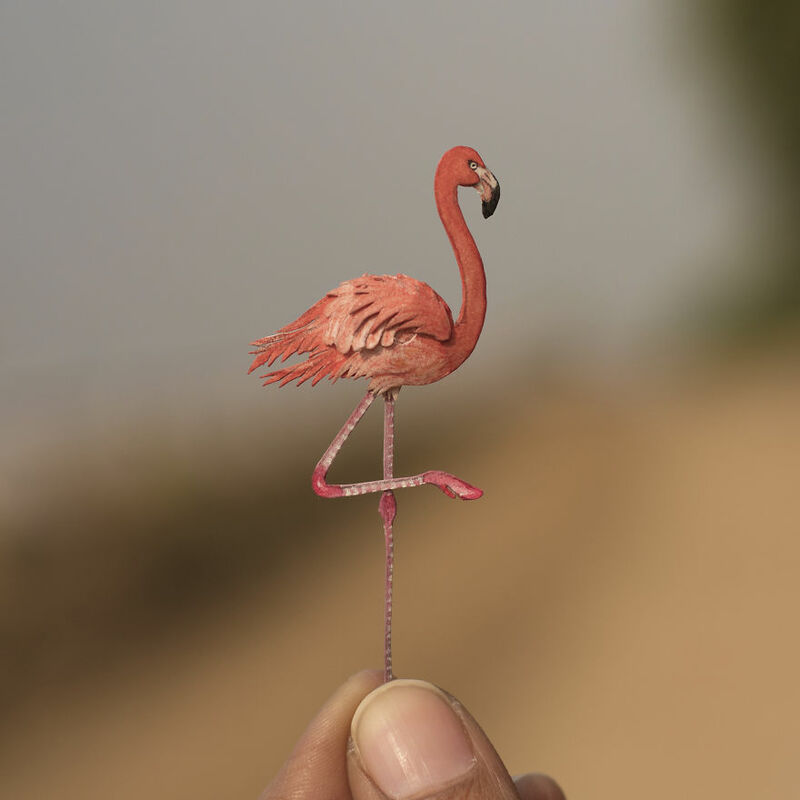 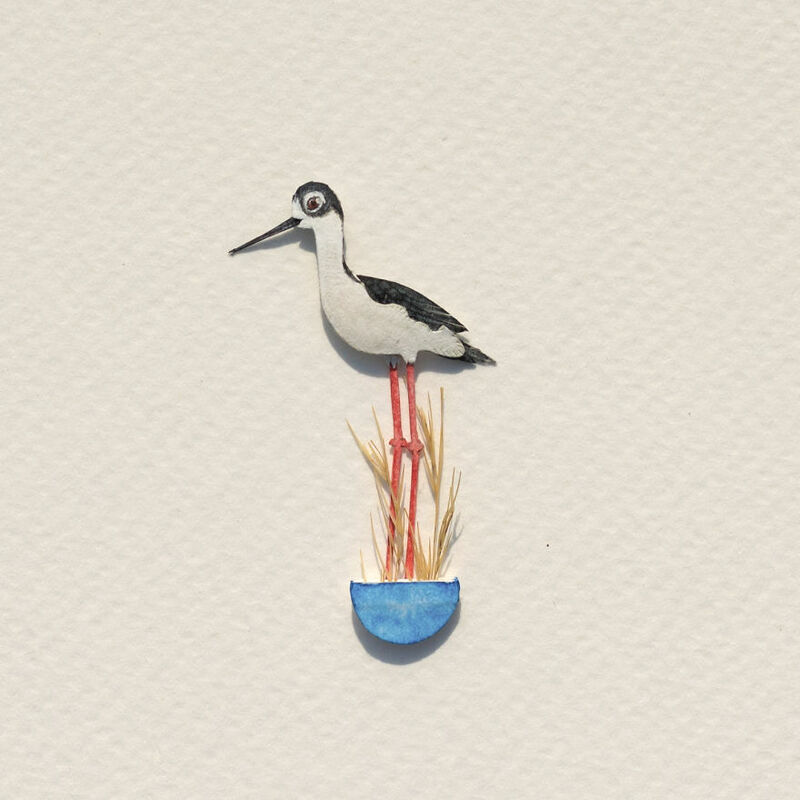 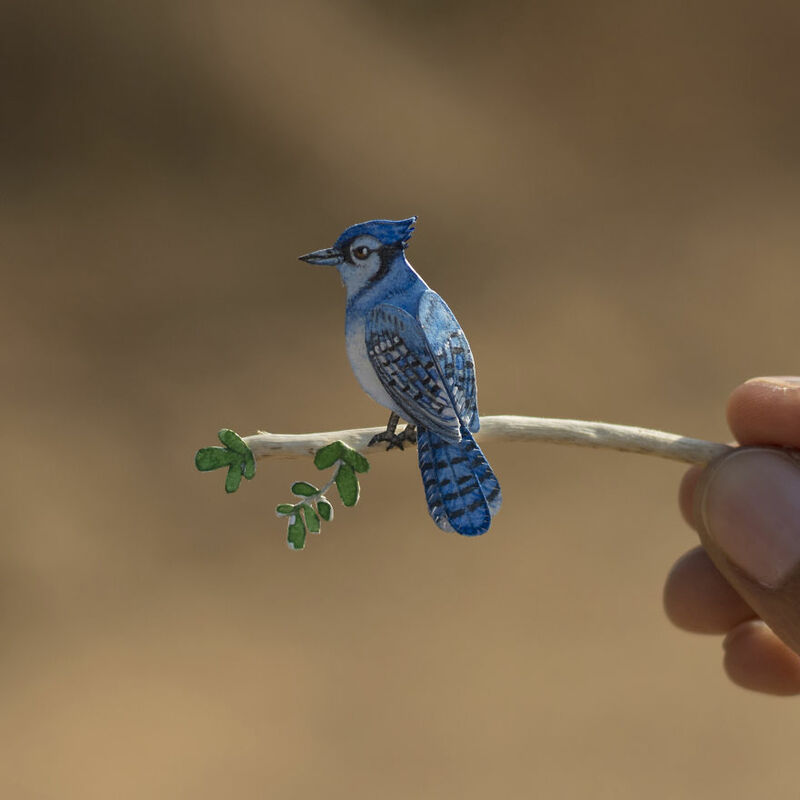 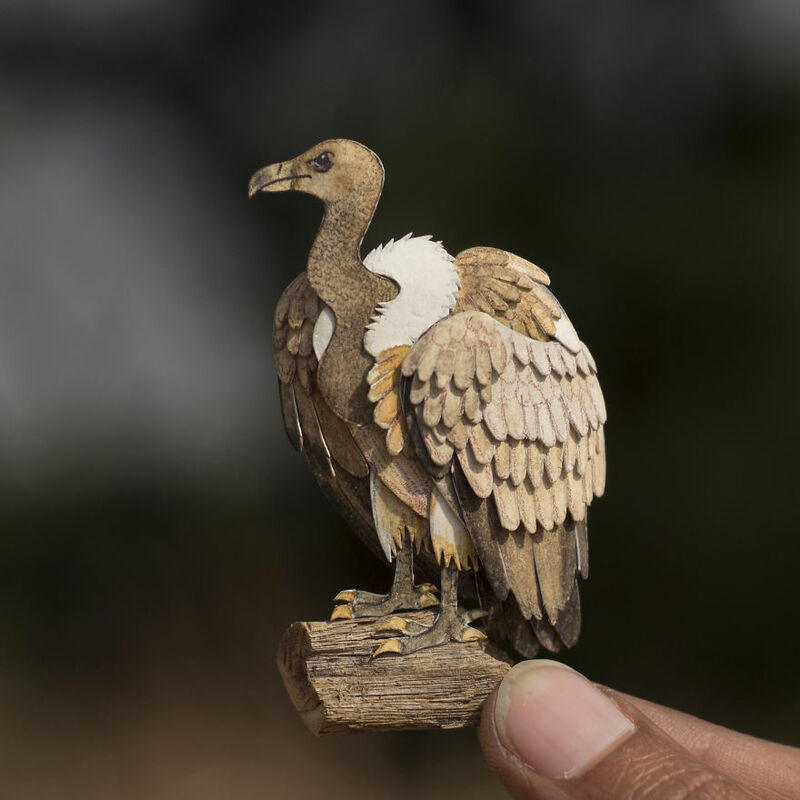 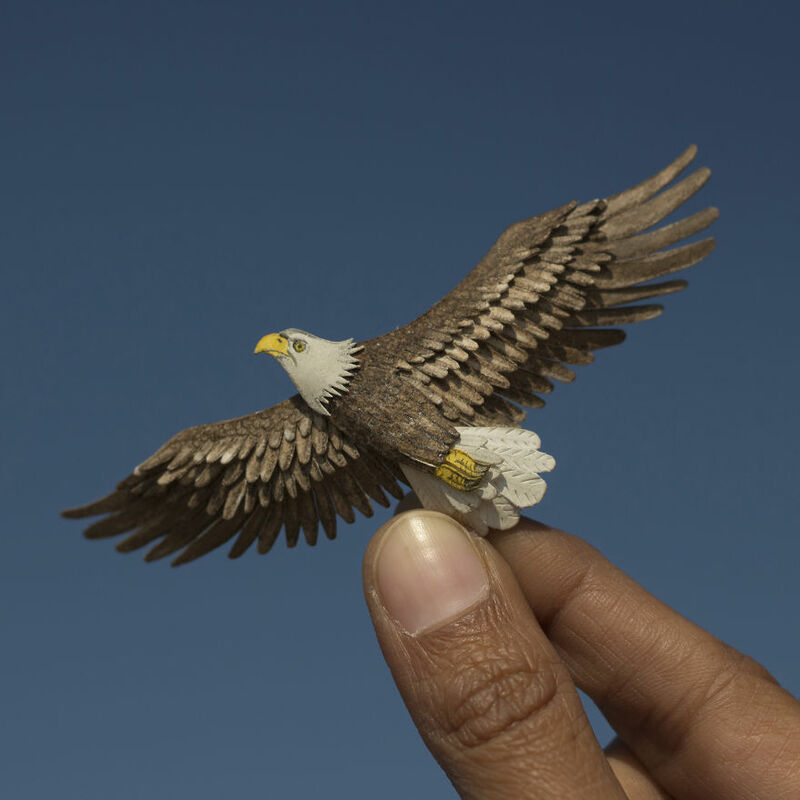 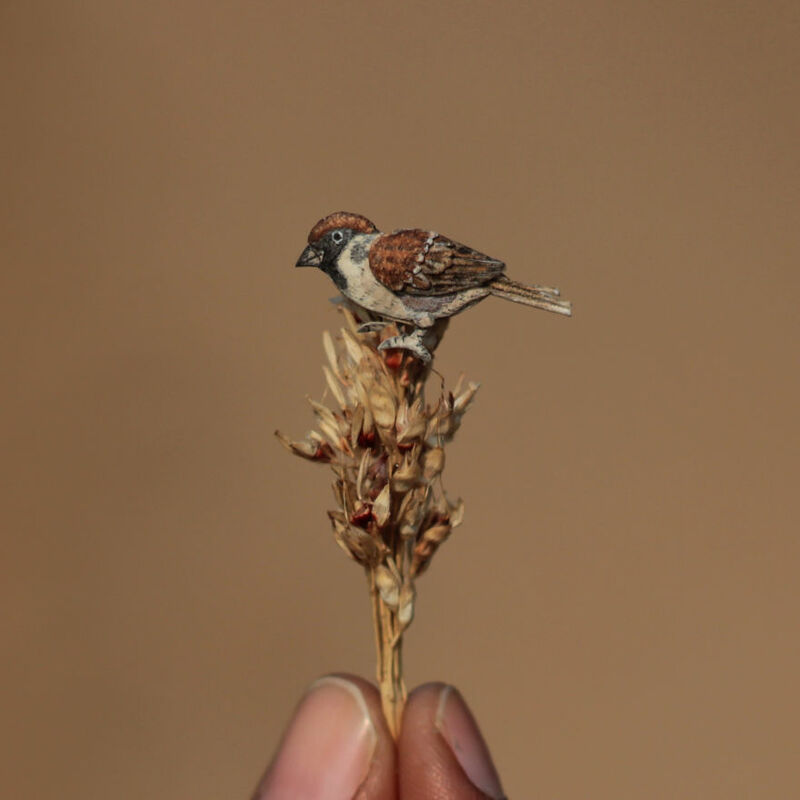 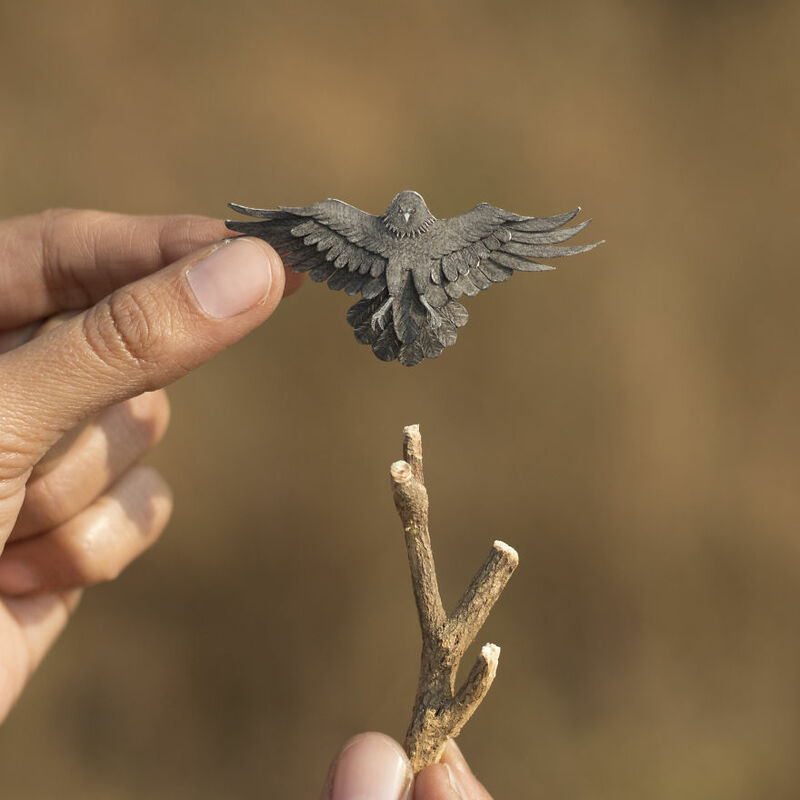 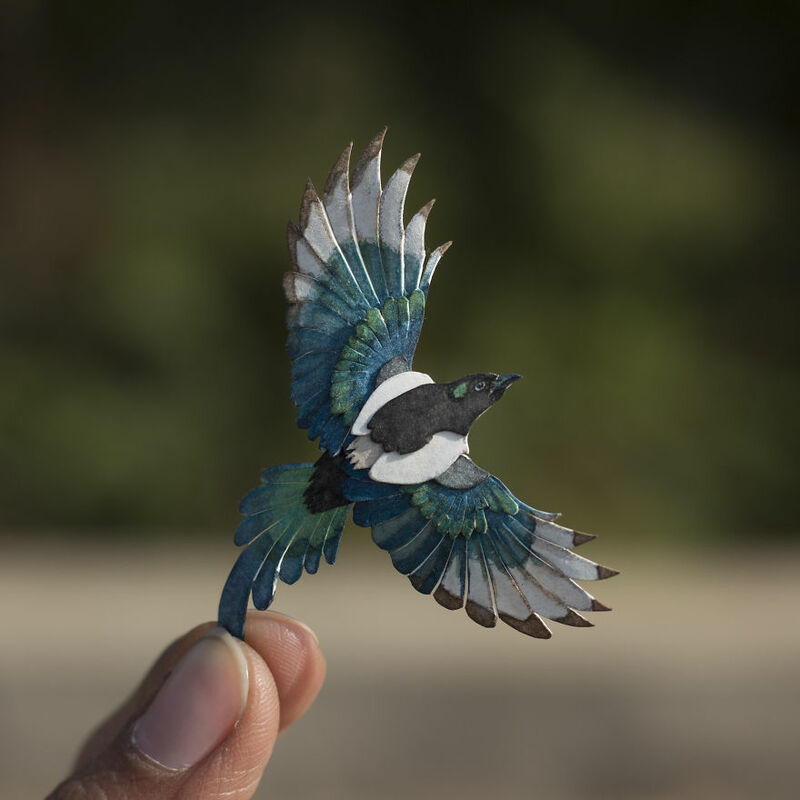 Here we are sharing our artworks from our ongoing series of Miniature Paper Birds. 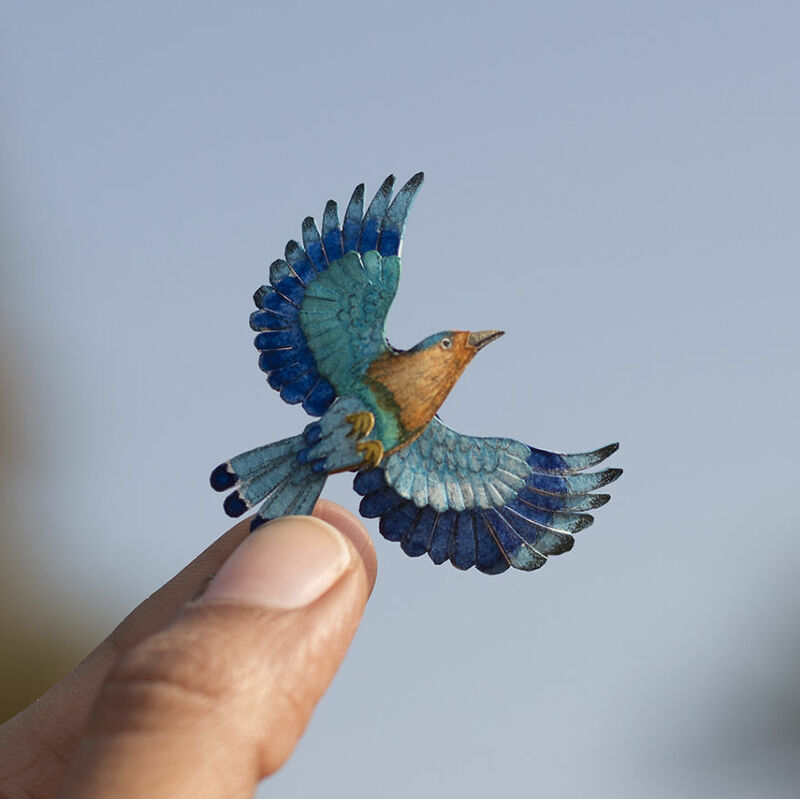 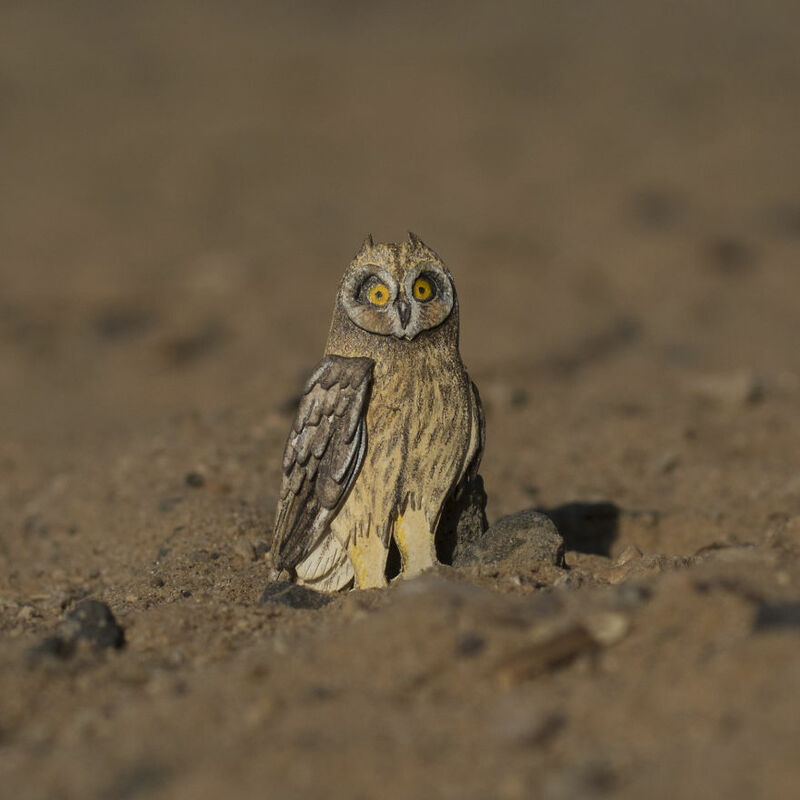 The concept of this miniatures is to express the intricacy & vibrance of the birds around us. 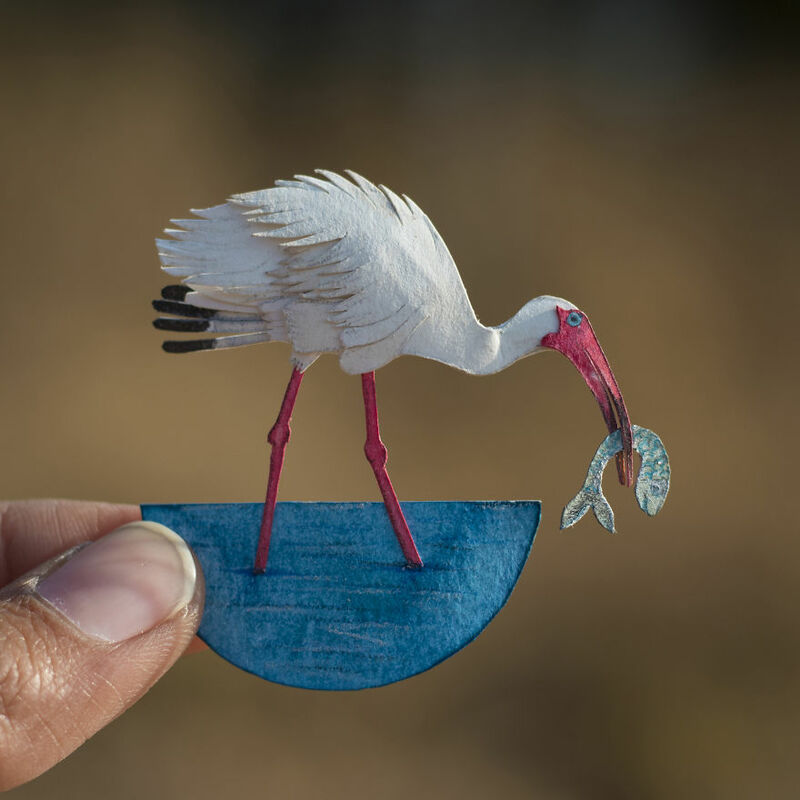 We used the technique of layered paper cutting to give volume to the artworks and get a three-dimensional feel to them. 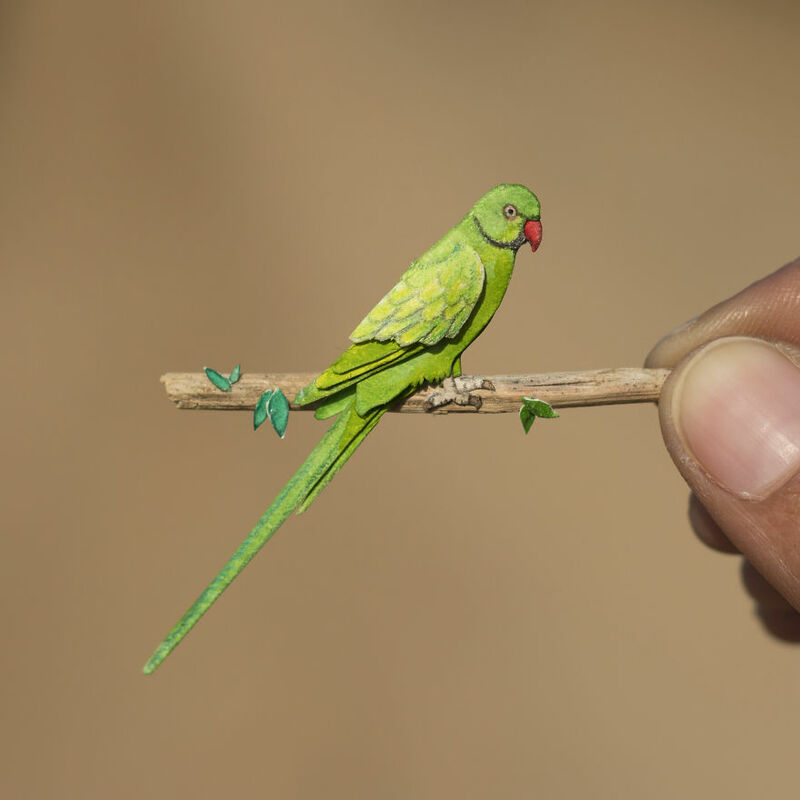 All the artworks are entirely hand cut and hand painted and are made without using any kind of magnifying tools. 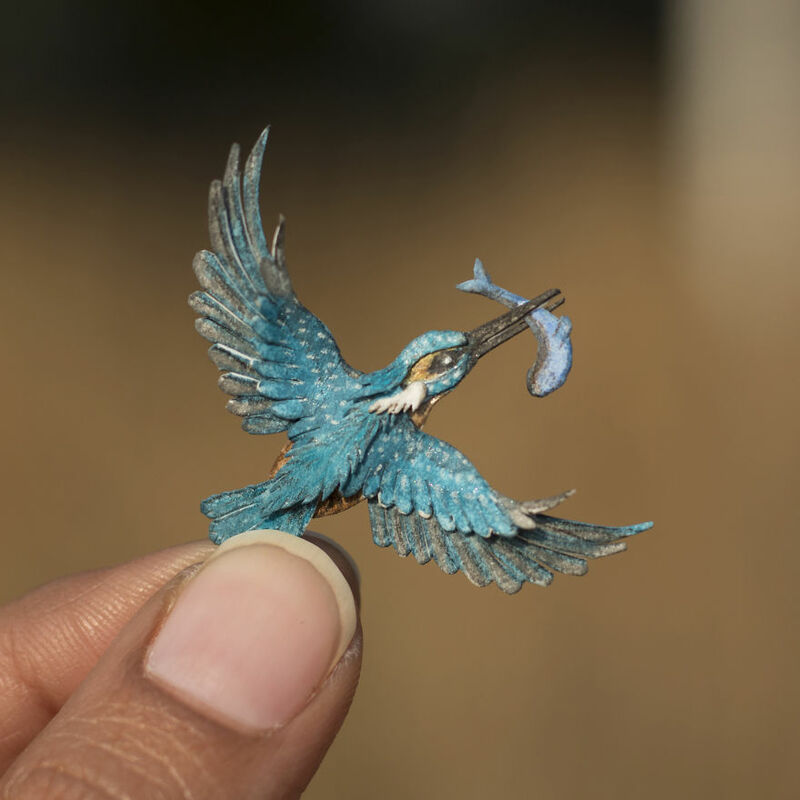 Each layer is precisely hand-cut on paper and painted to the exact shade of the bird after which it is assembled to get the final look. 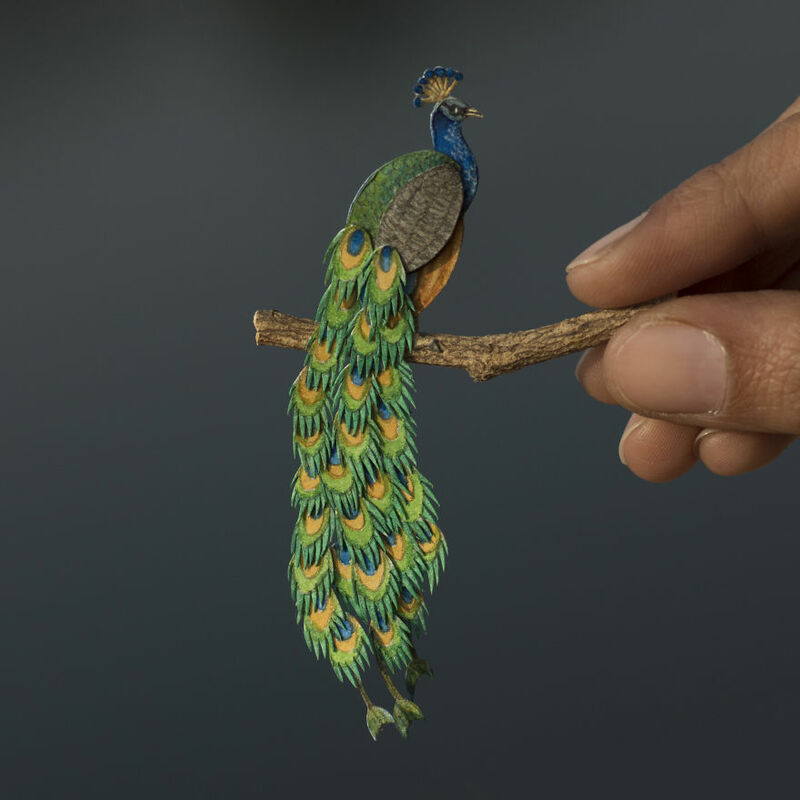 Every single artwork takes from 4-8 hours to complete depending on the details of feathers & colors. 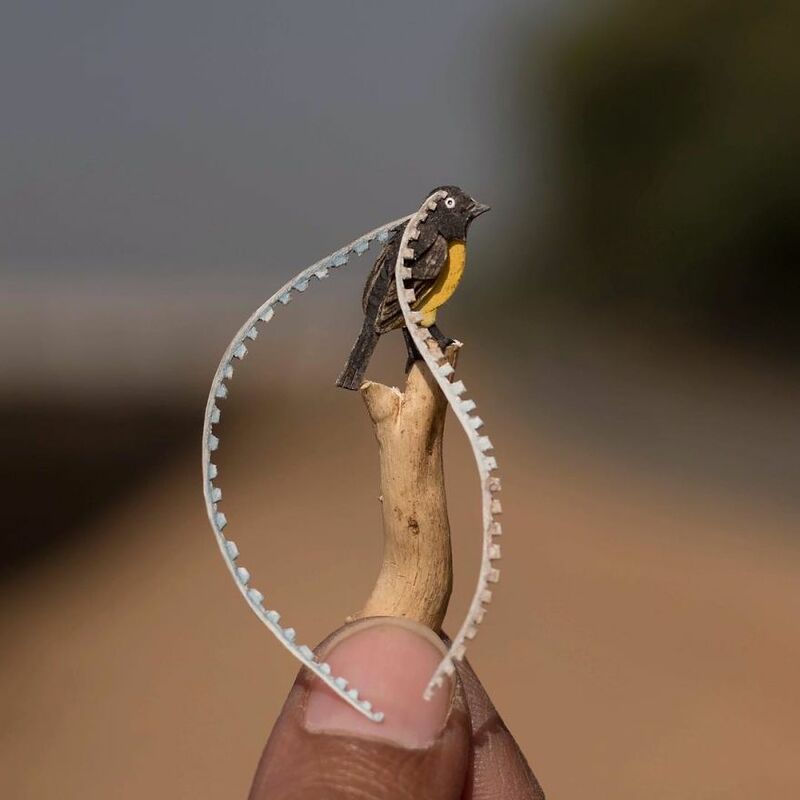 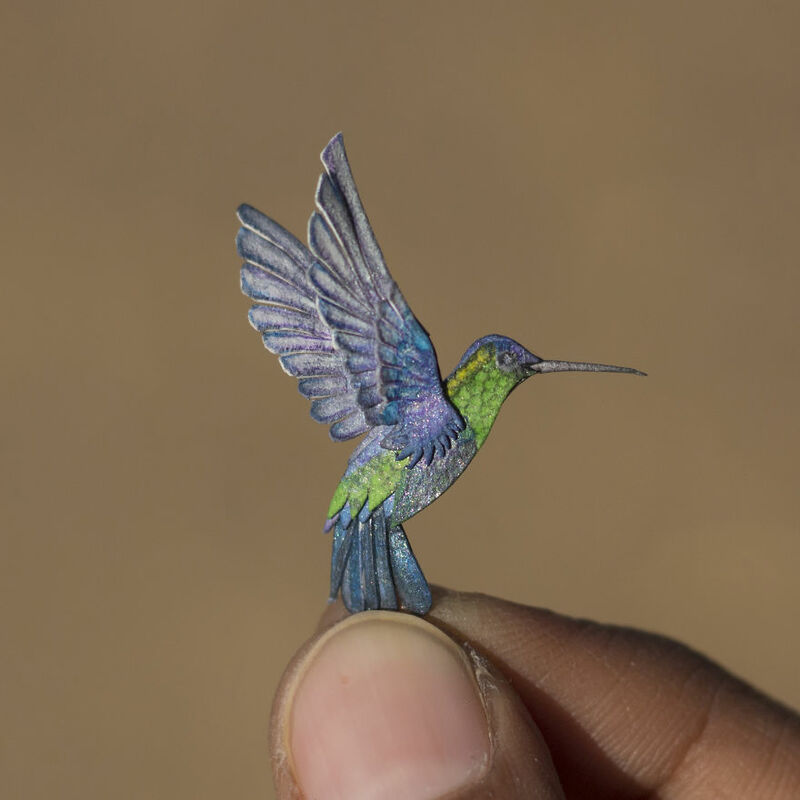 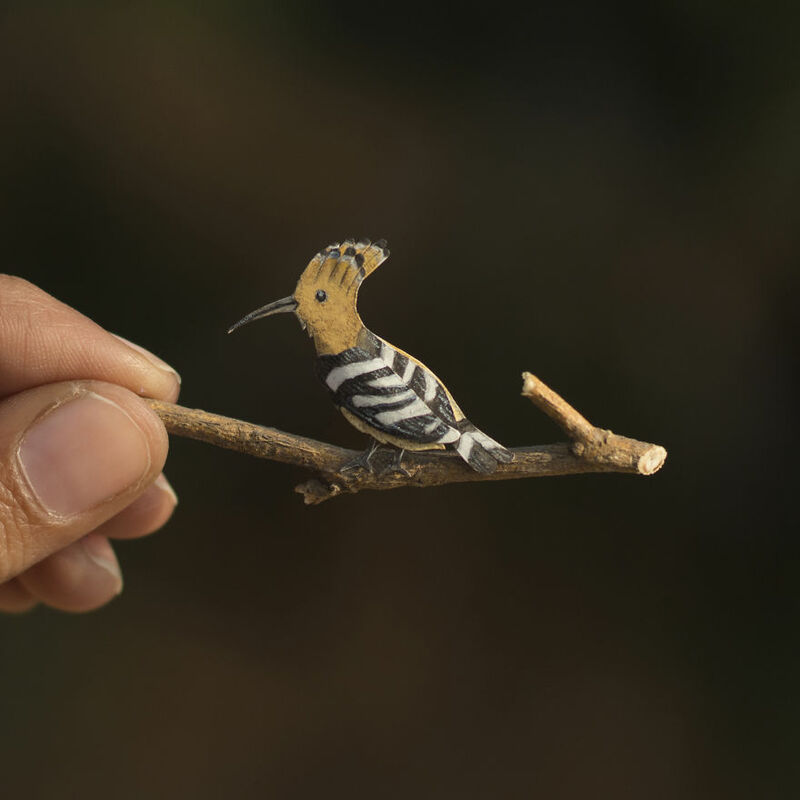 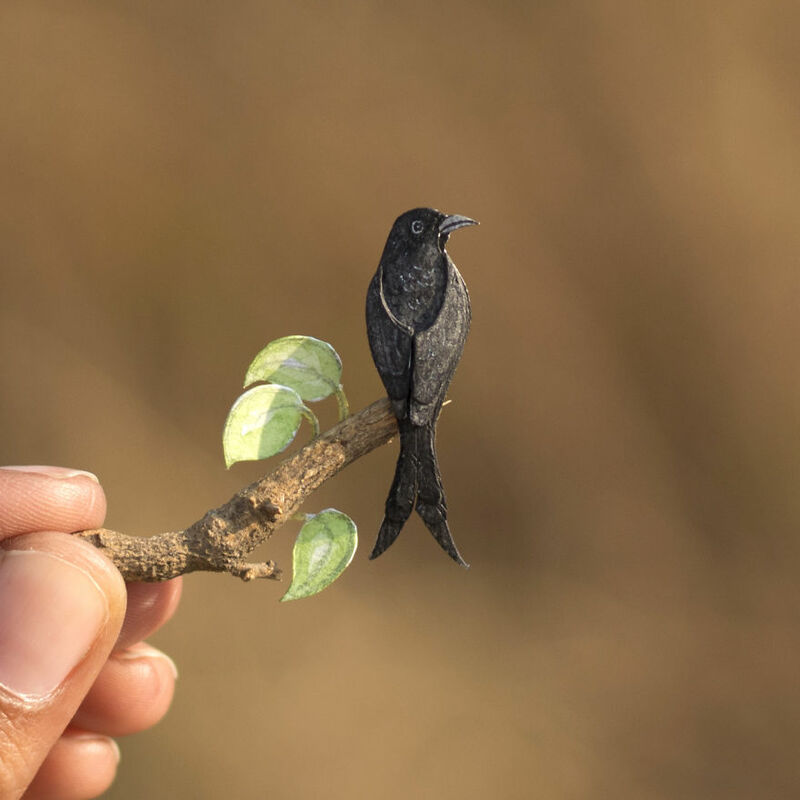 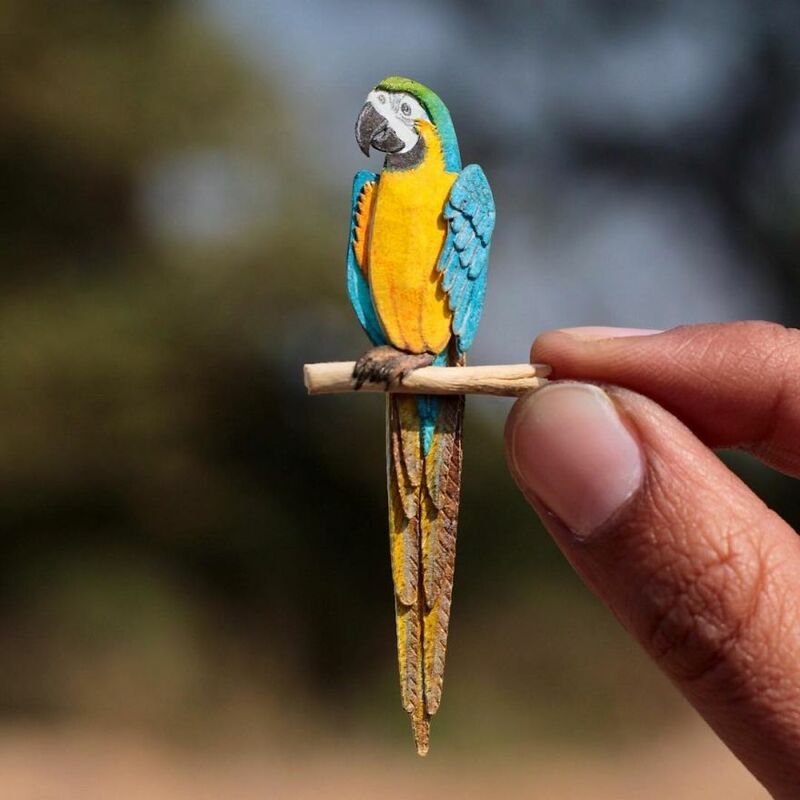 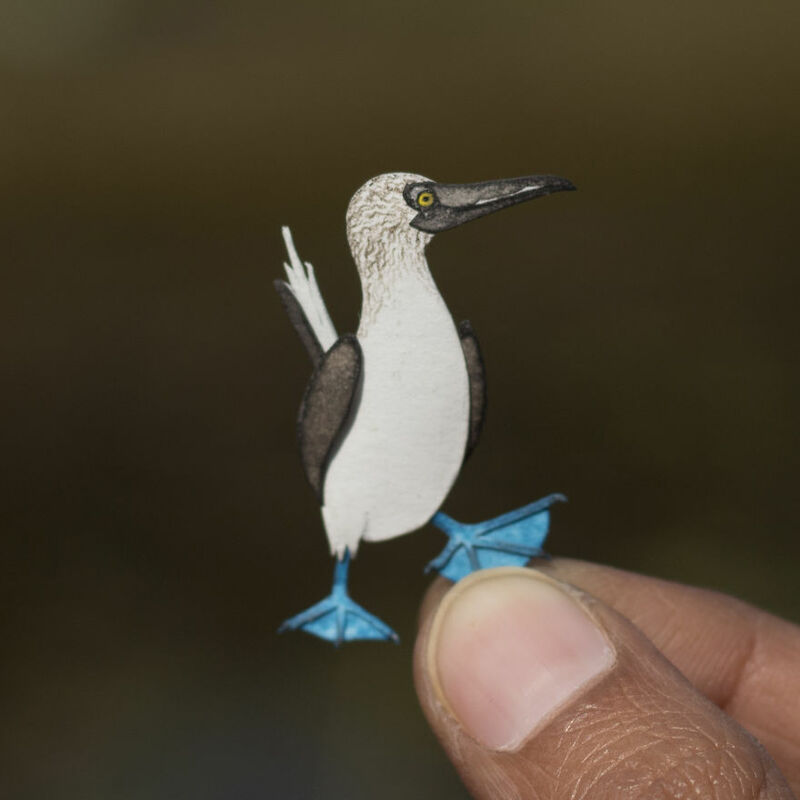 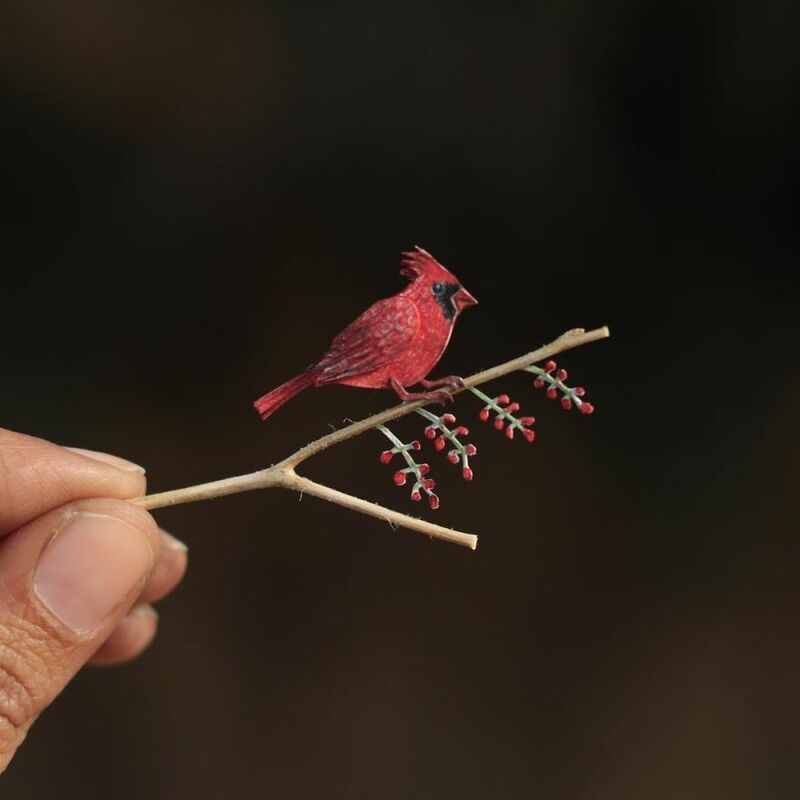 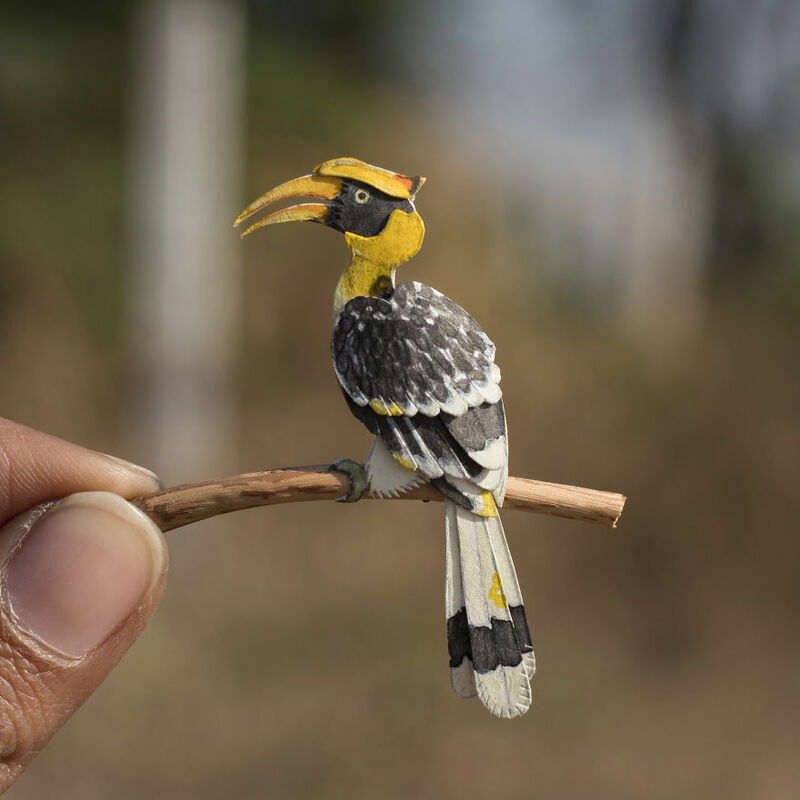 Some of the tiniest paper birds measure only 1.8 CM in height (from head to tail). 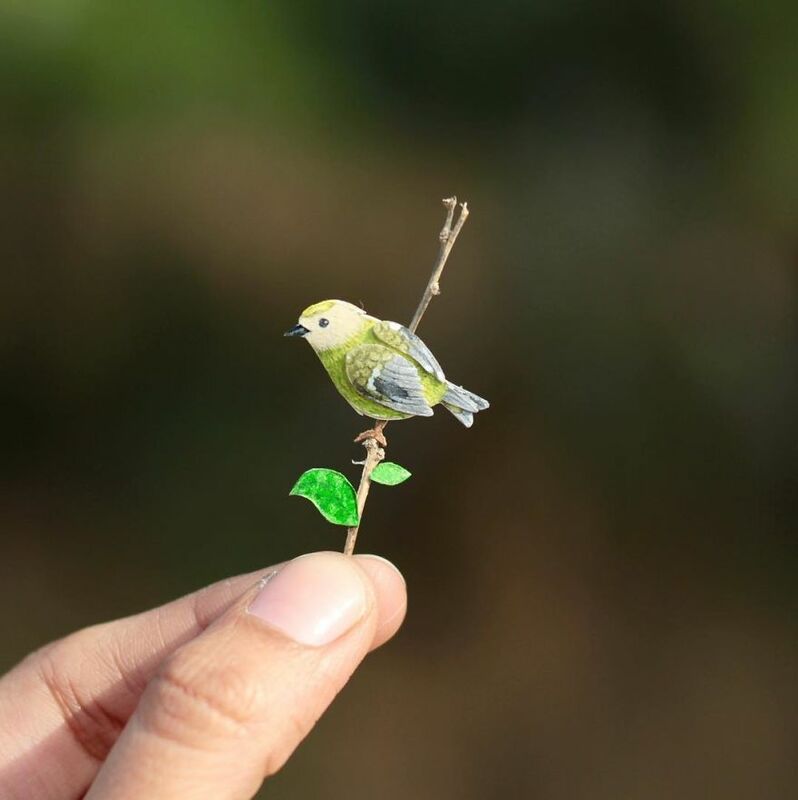 For daily updates on our tiny “Paper Birds” visit our Instagram profile. 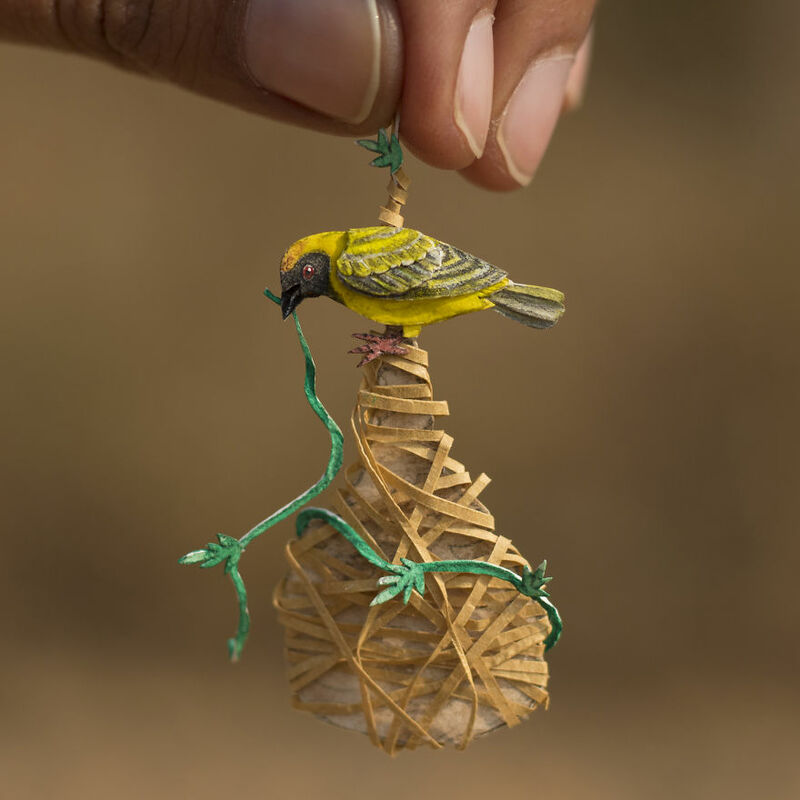 Enjoy our artworks.